I asked everyone coming down the mountain, “how was the tea?”. I got a variety of answers from “Great!” to “We had the soup” or “Try the chocolate cake” and even one lady said “The tea was good but it would have been better if they had beer!”. 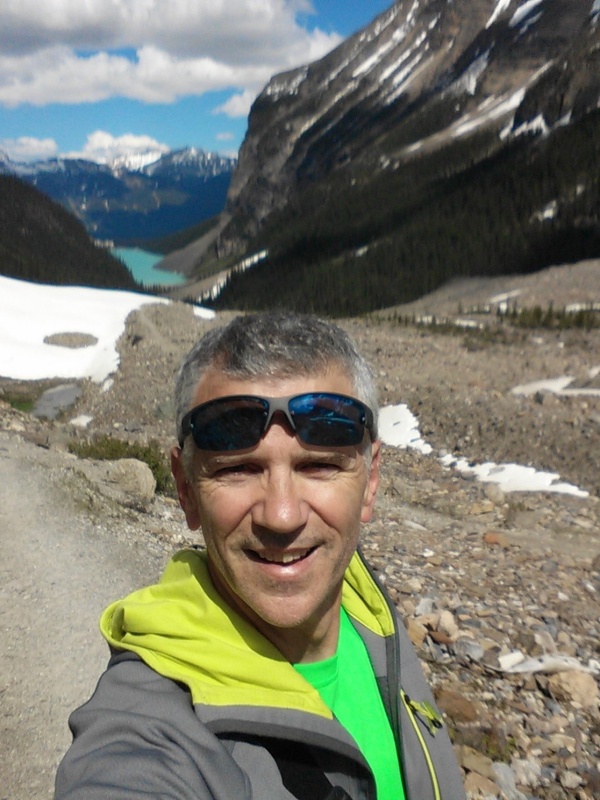 To explain, I was hiking up to the Tea House at the Plain of Six Glaciers at Lake Louise. It usually takes about an hour and 15 minutes of strenuous uphill hiking to get there. Normally, I start at the bottom of the hill with a goal. Get to the top. I realize I do this with many things. Set the goal and put myself on auto-pilot as I drive to completion. Not today. Today I was determined to remind myself that the Journey is the Destination. I know we have all heard various versions of this statement but for some reason I was going to experiment today. Every 50 steps I stopped and listened to the sounds of nature. Every 50 steps I stopped and smelled the smells of springtime in the mountains. Every 50 steps I stopped to view the incredible majesty of the snow capped mountains or notice the wildlife busy foraging on the mountain. Today I was determined not to put the blinders on and fall asleep as I trudged up the hill. So, I started asking people “How was the tea?”. People coming down had most likely been at the Tea House so it seemed like a good question. After a few couples and groups passed I noticed a pattern. People mostly kept to themselves and while offering a “hello” on the path is customary they were basically stoic in expression. But when I asked about the tea people lit up with great expressions and stopped to tell me about their experience. “It was busy”, “It was snowing and cold” or “It is worth the climb”. And after our little chats I kept climbing renewed by their positive energy. Even people who spoke very little English stopped to give me helpful hints! “Blueberry Pie,” was what stuck out of the tangle of German! The funny thing was I arrived at the top in an hour and 15 minutes! All my stopping to smell, listen, see and talk did nothing to slow me down. And I had the most joyful hike ever!